What are the course objectives of the Salesforce certification course? This Salesforce training course in Toronto is designed to ensure that you learn and master the concepts of being a Salesforce Administrator and a Salesforce Platform App builder. Our Salesforce training in Toronto will help you learn how to configure Salesforce, so you are able to collect, analyze and retrieve all of the vital information associated with your customer base. Moreover, you will use Force.com fundamentals to understand Salesforce online application development and the deployment of next-generation cloud apps. We offer practical hands-on learning that will ensure your job success, as well as the theoretical knowledge needed to pass both Salesforce certification exams. What skills will you learn from Salesforce certification training in Toronto? Who should take Salesforce certification course in Toronto? Simplilearn’s Salesforce Administrator and App Builder training in Toronto offers participants the opportunity to work on live industry-based projects that span across unique industry needs. What is the average salary for a Salesforce Developer/Salesforce Administrator in Canada? Which companies are hiring Salesforce Developer/Salesforce Administrator in the US/Canada? How do I become a Certified Salesforce Administrator and Developer in Toronto? To become a Certified Salesforce Administrator and Developer in Toronto, you must pass the Salesforce Administrator Exam (ADM 201) and the Salesforce App Builder (DEV 402) Exam. This can be achieved by following the following easy steps. Step 2: Visit certification.salesforce.com and register to take both exams: ADM 201 and DEV 402. What are the prerequisites for Salesforce certification in Toronto? There are no prerequisites to do ADM 201 and DEV 402 examinations. You need to attend one complete batch of Salesforce certification training in Toronto. Complete one project and one simulation test with a minimum score of 60 percent. Complete 85 percent of the course. 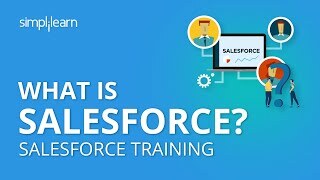 What are the career benefits of this Salesforce training course in Toronto? According to Glassdoor, Salesforce jobs are increasing at a speed 1.3 times faster than similar roles, and there were 300,000+ Salesforce jobs available from July 2015 to June 2016. Salesforce Certified Administrators earn an annual average salary of $67,000 but can go as high as $120,000 depending on their knowledge, skills, and experience. Simplicity and detail oriented training.. The pointers towards job questions, certification etc. are very helpful. The trainer was very good. I am happy I made the right decision. The approach of using real-life cases to explain each topic was great, and he dint rely a lot on PPT's. What tools do I need to attend the Salesforce training sessions in Toronto?